• Free Standing double sided light column. 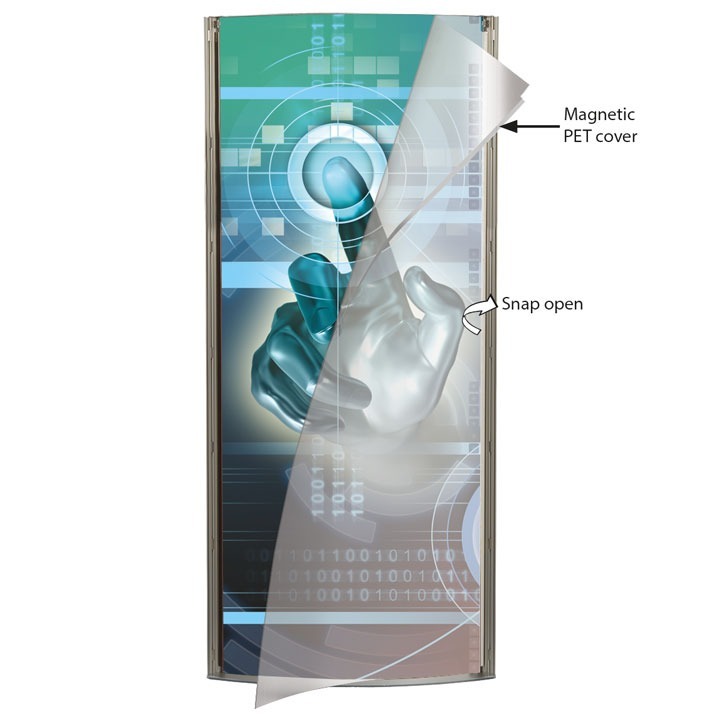 • Snap Frames enable for changing the display material. 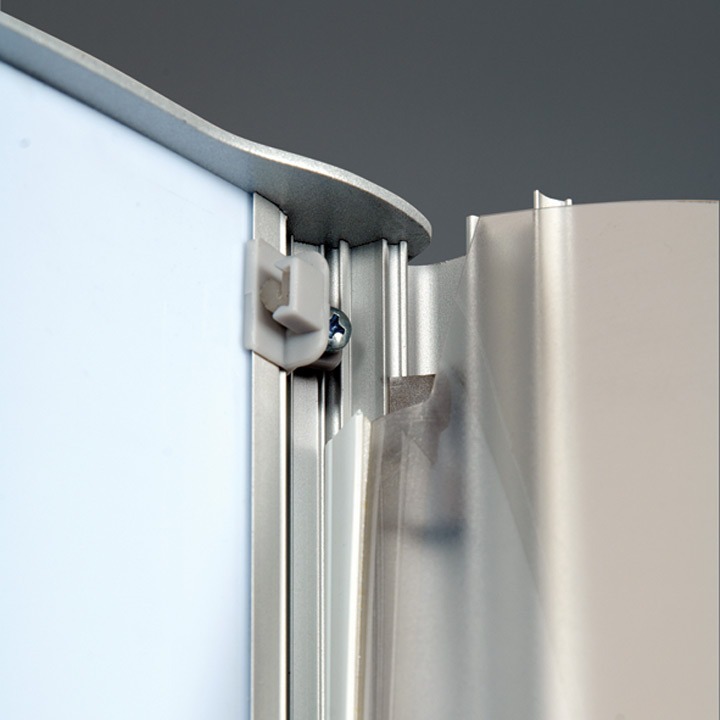 • Front profile is easy to open. 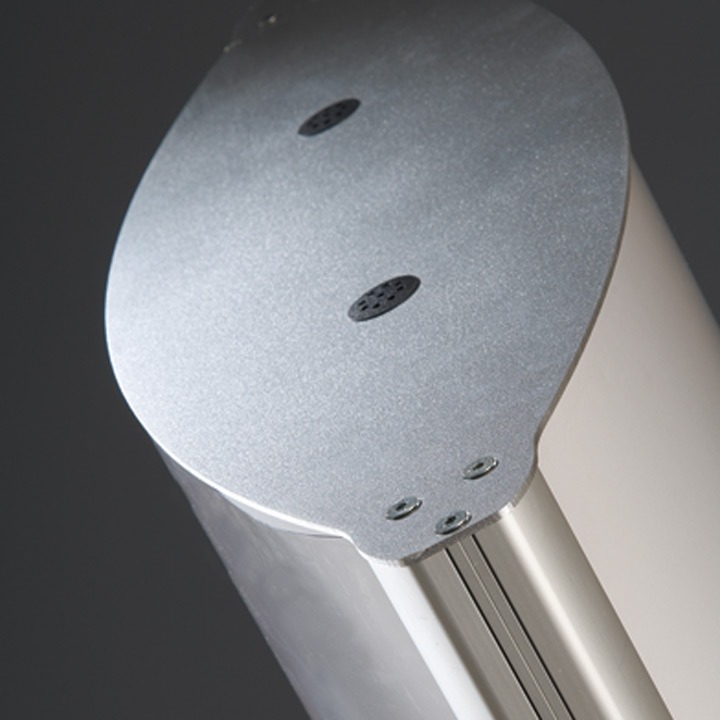 The convex double-sided design illuminated the totem with pressure profiles on the long sides. High quality with a powder coated steel baseplate for greater stability. The totem display is a free light panel that is perfect for retail watch shows, store promotions and car showcases. They are equipped with a front loading frame to keep the graphics backlit on both sides and also allow for simple graphic editing. 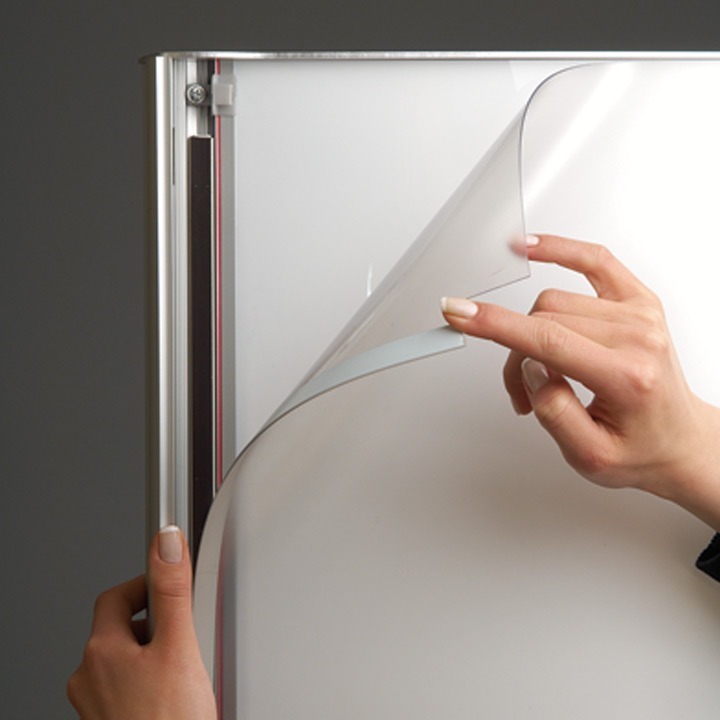 The screen is illuminated internally to create what is essentially an independent double-sided light box. 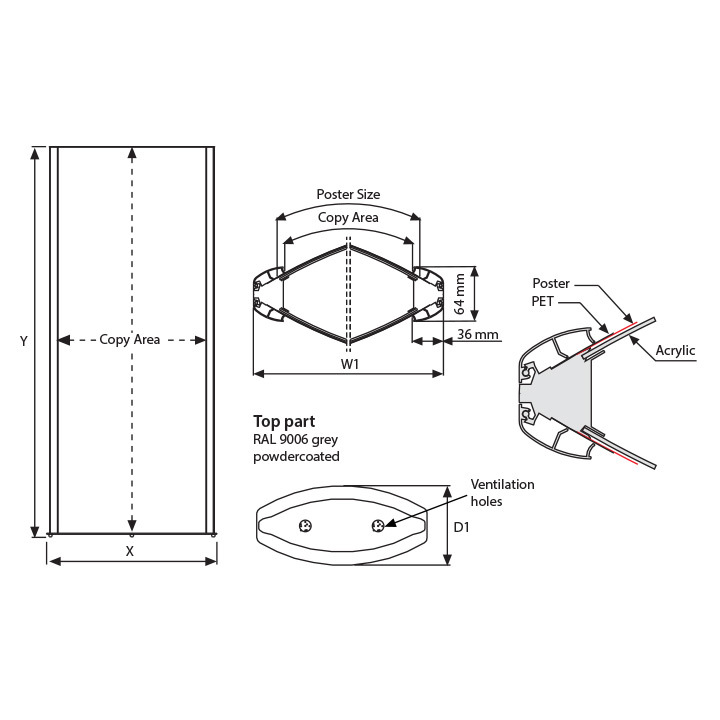 On each side of the illuminated totem are an opal acrylic diffuser sheet and a transparent antireflective front sheet, among which the backlit printing is interlaced. 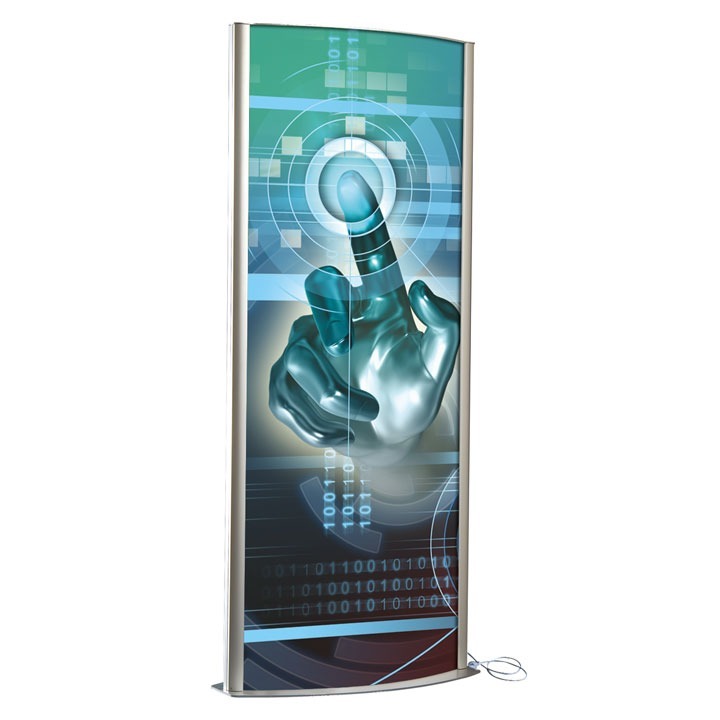 These are integrated into the system in a curved configuration for a panoramic perspective, creating a versatile, extremely pleasant and extremely effective display medium. The light boxes are equipped with standard LED stripes and ropes. 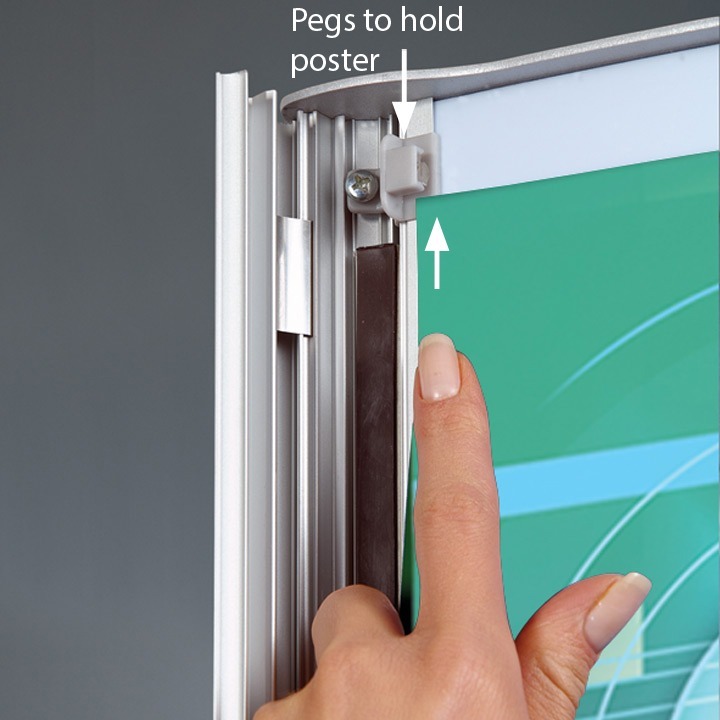 The folded edges of the anti-glare poster sheets allow easy graphic insertion and alignment. Complete with a low voltage adapter. All Totem products are subject to CE certification. © 2018 M&T DISPLAYS, All rights reserved.